It seemed like Terminator Genisys had killed the Terminator franchise once and for all, but a new hero is coming back: James Cameron. Cameron, who wrote and directed the first two films, regains the rights in 2019 and is reportedly working with Deadpool director Tim Miller on a brand new film. 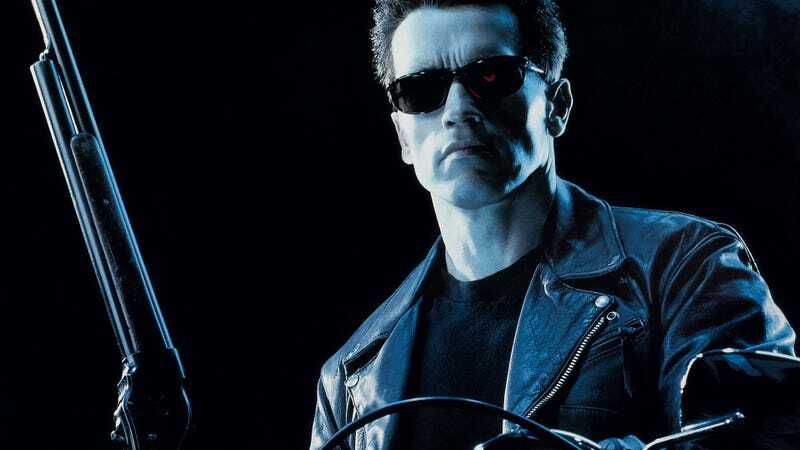 Cameron hasn’t been involved with the Terminator series since 1991's Terminator 2: Judgment Day. The series has since included three additional films and The Sarah Connor Chronicles TV show, only a few of which Cameron has approved of. But, after the disappointment of Genisys, and the fact that the copyright reversion for the original property returns after 35 years, it seems like Cameron wants to put his baby to bed in some way. A way that he’d be a part of with Miller at the helm. At this point, there’s no telling if Cameron’s return to the material would be a direct sequel to Judgment Day, or explore another story within the Terminator universe. It seems like that’ll be up to the “top-flight science fiction authors” being hired to figure out a story. Either way, there’s no timeline on any of this, which is kind of perfect if you think about it. Cameron is currently scheduled to direct four Avatar sequels with the first, hypothetically, hitting theaters next December.